Review and tip of Alarm Clock Pro! I discovered Alarm Clock Pro from the MacUpdate 10 applications bundle. I didn't think I really needed it at first, but the application is so great and complete. What I really like is it doesn't need to run in the background, because it has a background daemon that keeps running even after you quit the app. 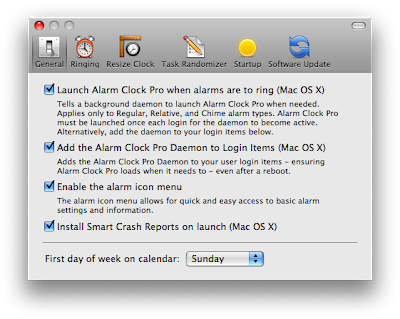 The first thing that I did was to check the "Add the Alarm Clock Pro Daemon to Login Items". What is great is with this enabled, you don't have to relaunch the app every time you restart OS X. This app is a definite 5/5. MacUpdate bundle here. I really discovered Jott with the free iPhone app, but what I found out is that you can use it with any phone and there is also an Adobe Air app. Logging in on the website isn't really practical, but the Adobe Air app really completes the experience. It is entirely cross-platform and Jott is free when you only use it on the iPhone, the Adobe Air app and the website. More info about Jott here on Jott's website. Controlling iTunes from the Dock! What you might not know is that the menu that pops up when you right-click or click and hold on any icon in the Dock often has useful features. 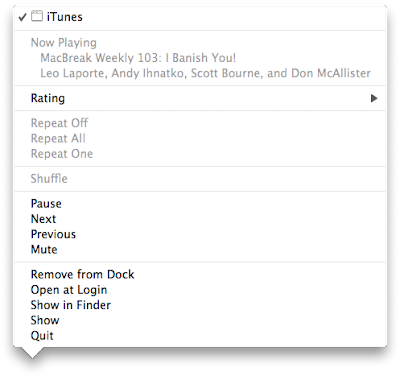 iTunes is a great example as it lets you control: Play/Pause/Next/Previous/Mute. You can also quickly know what is playing. Norrkross Movie is one of the ten applications that is part of the MacUpdate bundle. It is actually an application that I wanted to try a few months ago, but I just never had the time. I really like the concept, because it incorporates both layer based compositing and nodal compositing. I usually use Motion/After Effects for layer editing and Shake/Conduit for nodal compositing. This is obviously a much simpler application, but at first glance, it looks like a great basic editing application. I was also able to import Pro-Res files (maybe because I have Final Cut installed). What I also really like is the ability to export using QuickTime conversion. It makes the application far more compatible. The nodal compositing that is currently built-in seems pretty basic, but it is only version 1.2, so I think it is the start of something great. Overall, it is 4/5. More info here on MacUpdate. I have been doing some print work lately and I once accidentally used the "Faux Italic" feature in Photoshop. It looks great when you look at it at 100% on a hi-rez display, but it often doesn't print well. It is not an issue when working for web graphics. In the Character palette, you want to make sure you select "Italic" from the "Regular" dropdown instead of clicking on the "Faux Italic" icon. 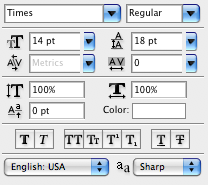 What I understand is that the "Faux Italic" option exists for fonts that don't have a true Italic version. A great tip submitted by Vagnard: How to temporarily disable Automatic Login. Automatic login is great because it is really fast. I use it on my laptop because I am the only one using it. If you want to keep automatic login enabled because you nearly always use the same account, but sometimes want to login into another and not wait to change account until it is loaded, temporarily disabling it is the best option. It is also a very quick shortcut: "Shift - Option - Cmd". To get the login window, you just have hold down that shortcut when going from the grey Apple logo to the light blue screen until the login window appears. Of course, it only works if you have more than one account. Thanks for the tip Vagnard! More info here on MacUpdate. A great tip submitted by Shane Smith: Photoshop and Coverflow! I posted about how Photoshop is not Coverflow friendly last week and Shane emailed me a solution that works great. The problem is that Photoshop only saves an icon sized preview. You can change that in "Photoshop", "Preferences" and "File handling...". You then want to check "Full Size" in the Image Previews and uncheck "Icon". Unchecking "Icon" is a must because Coverflow will automatically choose the icon preview if it is there. It still doesn't solve how masks are displayed in QuickLook, but it really improves the quality of images displayed in Coverflow. Thanks for the tip Shane! Fixing burn-in or stuck pixels! A great tip submitted by Dominic P. Tremblay: Fixing burn-in or stuck pixels! Dominic has a one year old iMac and was having problems of burn-in. Basically, Word and MSN are always so much at the same place on the screen, that they have started to burn-in. A cool web application called JScreenFix can help resolve that issue. It runs in Java, in a web browser, so it is completely cross platform. What it does is it flashes different coloured pixels quickly accross the screen. Doing so for an extended period of time usually helps burn-in or stuck pixels a lot. You can run it full-screen even if it runs in a web browser. Learn more about it here on JScreenFix's website. Thanks for the tip Dominic. When you hook up a new display to your Mac, it won't necessarily run at the right resolution right away especially if you don't restart. It might also happen if it is a weird resolution, like an HDTV. There is a feature in the Display preferences and in the display menu called "Detect Displays". It usually finds the right resolution automatically. Transparency and Masks in Coverflow and Quick Look! Coverflow and Quick Look are not the best for displaying complicated pictures. I edit a lot with Photoshop and photos with transparency are not displayed right in Coverflow. Quick Look works fine with transparency however. Where Quick Look doesn't work is with masks. 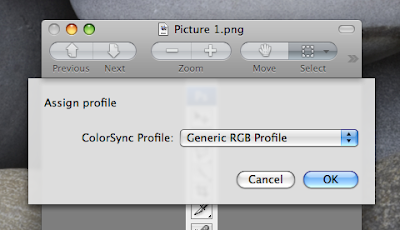 Right now, the best to get a preview of complicated photos with multiple layers and masks is to open it in Photoshop. If you know about a Quick Look plugin that would read Photoshop files, please post about it in the comments. Preview is a great application that is much faster at displaying PDF files than Adobe reader. 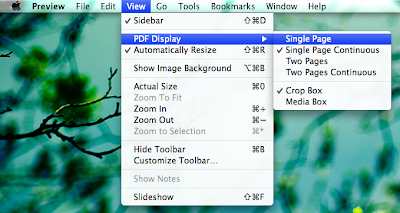 There are many options for displaying PDF in "View", "PDF Display". One that I like in particular is "Single Page" instead of "Single Page Continuous". 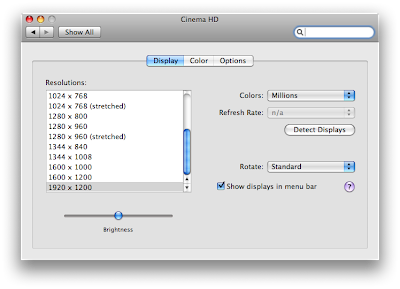 It doesn't work very well on smaller displays, but it is great on my 23" ACD. 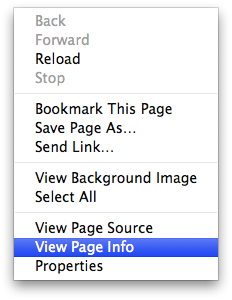 It basically disables scrolling and using the arrows will let you browse from page to page. I have really started enjoying tethering with my Blackberry because it truly gives me internet everywhere at a great price. My Rogers $30/6GB plan includes tethering so it works very well. 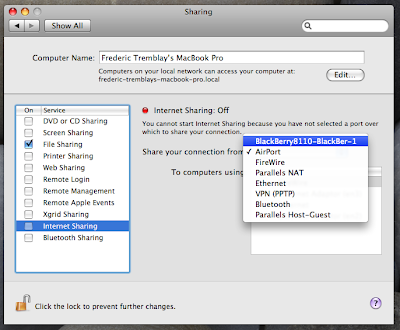 What I discovered is that it is even possible to share that connection to other Macs. 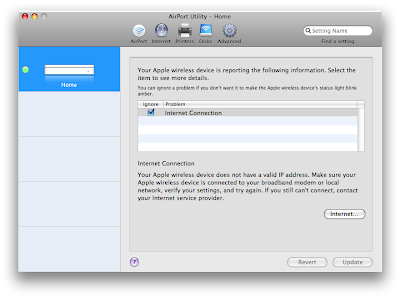 My Mac is tethered through bluetooth, so it leaves airport available for sharing the connection. In the sharing tab, you want to select the cell phone connection as "Share your connection from" and Airport for "To computers using". It is also important to add WEP encryption in the "Airport Options" to make sure your airport network is only used by you. WPA is unfortunately not available. 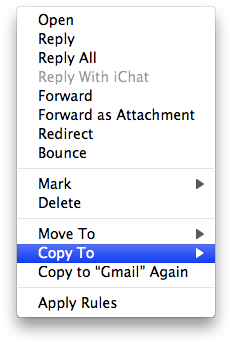 There is a feature in Mail that lets you copy emails to any folder or even any inbox from another email address. What is really cool is that it even copies emails back to the server so they are accessible through webmail. To use the feature, you can just right-click on any email and go to "Copy To". One thing that surprised me is when I realized that many people don't know that you don't always have to use Ctrl to do a right-click on a trackpad. All recent Apple laptops have the possibility of doing a secondary click by putting two fingers on the trackpad and clicking. It doesn't look like it works at first. That's because Apple doesn't enable this feature by default (even on newer Macs that come with multitouch). 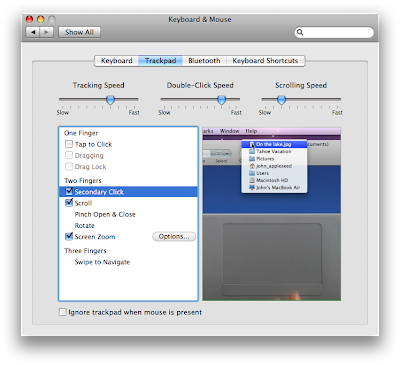 In the Keyboard & Mouse, you can enable "Secondary Click" in the Trackpad tab. 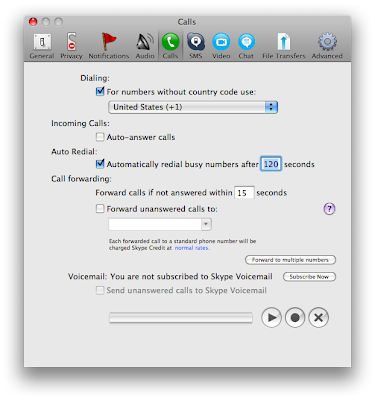 This is not a tip about a specific feature of Mac OS X or of Mac apps, but it looks cool. If you change your desktop background every few weeks, you'll go through the ones included with OS X pretty quickly. This is the website of a freelance photographer who posts many great photos as high-quality backgrounds: http://www.wallpapers.anuli.co.uk/. At full-res, the wallpapers are 1920x1200 (enough resolution for a 23/24" display). They are also available in a full-screen aspect ratio. 1. Go to Tools, "Assign Profile...". 2. Choose the profile you want to change it to and click OK.
Adobe Creative Suite 3 brought a change to the Tools window in Photoshop. It is now a longer single column window instead of the traditional two columns tool palette. It is possible to go back to the old design however. It is useful if not all your Macs are running CS3 and you want consistency across the board. To change the look of the Tools window, click on the double triangle in the upper left corner. You'll be able to switch back and forth between both that way. Watching a DVD with multiple displays! 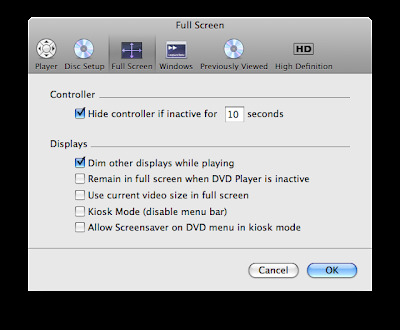 If you have multiple displays hooked up to your Mac and you are watching a DVD full screen in DVD Player, you might not want all the other displays to keep showing the background. There is a great feature in the DVD Player preferences that dims other displays. It is "Dim other displays while playing" in the "Full Screen" tab. A great tip submitted by Tristan Bolton: Dictionary/Thesaurus Auto Completion. 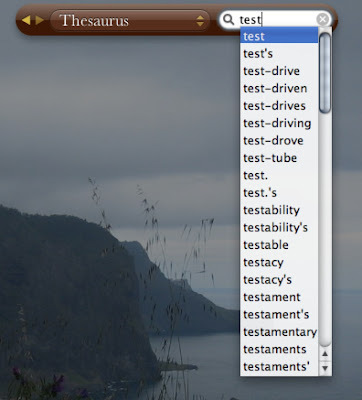 I use the Dictionary/Thesaurus Mac Widget all the time and I have found a cool option that allows me to see all the possible answers. You can type in any word and part way through you can press the esc key and it will show you a list of possibilities. Thanks for the tip Tristan! 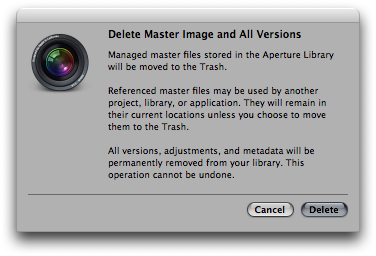 You can use the same shortcut to delete pictures in Aperture than the one for deleting files in the Finder. It is Command - Delete. It is a lot faster when you are going through a lot of pictures, erasing the ones out of focus, etc. What is great is that it is pretty much risk free, because you can recover the files in the Finder trash. 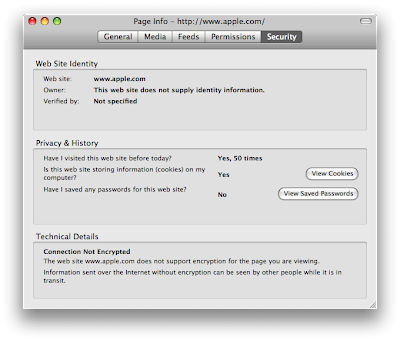 If you right-click on a website in Firefox, choose "View Page Info" and click on the "Security" tab, you'll get the info about how many times you have visited the website before. You can also view the specific cookies that the website stored on your computer. In the Finder preferences, you can enable "Show all file extensions" in the Advanced tab. I work with a lot of Photoshop files and I like quickly seeing if it is a PNG, TIFF, JPEG or PSD. 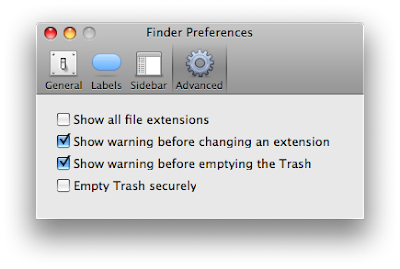 By default, OS X hides common file extensions. 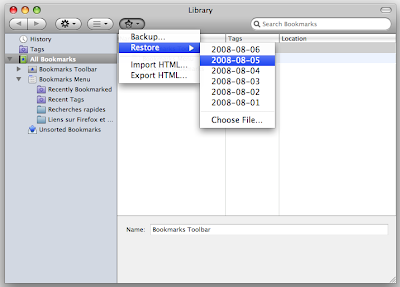 If you go in the Bookmarks menu and click on "Organize Bookmarks...", you can restore bookmarks from a backup. Backups are done automatically every day. It is like a Time Machine for bookmarks. The advantage is that you can restore in case you accidentally delete a bookmark that you wanted to keep. To access the backups, click on the star icon that is in the toolbar and choose "Restore". The latest backups will be displayed. If you use the iStat Menu application that I mentioned in a previous tip, you can get info about the uptime and the running time. All this info is in the CPU menu. The difference between the uptime and the running time is that the running time excludes the time that your Mac was asleep. It is possible to add specific search terms about the kind of file you are looking for without even going in the more advanced search window. 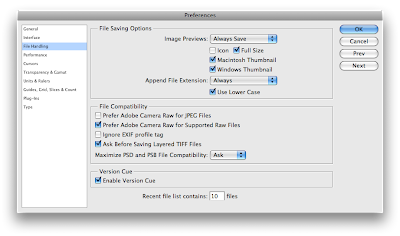 Adding "kind:pdf" or "kind:jpeg" will limit the search to PDF or JPEG files. 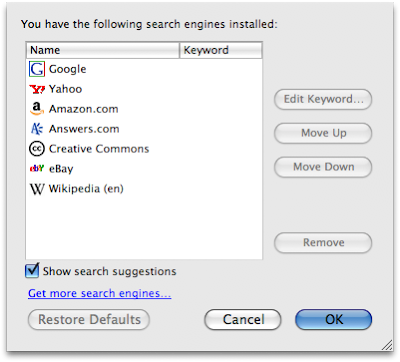 It is a very quick and easy way of doing an advanced search in the standard dropdown menu. Using YouSendIt in iPhoto/Aperture/Final Cut/Photoshop! I read about this tip on MacGeneration (French Mac Website) and it was so cool, I wanted to talk about it here. Emails are limited to 20 MB attachments so if you don't use a service like MobileMe or an FTP server, exchanging large files can be challenging. A service called YouSendIt can make exchanging files a lot easier. What I really like is that the service actually has a free lite version that lets you upload files up to 100 MB. What is even better is that YouSendIt makes Mac plugins for Photoshop, Final Cut, Aperture and iPhoto. Download link to the plugins here. Link to the service here. Thanks to MacGeneration for the tip. 3. Check "Empty Trash securely".